The Milky Way over Eifel National Park, Germany. Photo by Harald Bardenhagen. TUCSON, AZ AND EIFEL NATIONAL PARK, GERMANY, 17 February 2014 – The International Dark Sky Association (IDA) announced today that it has provisionally named Eifel National Park as the first International Dark Sky Park in Germany. The western German park now counts dark-skies status as a tourist draw alongside its untamed wilderness and storied history. Eifel is the first and only German National Park in the Federal State of North Rhine-Westphalia. It is also one of the youngest in the German National Park system, created in 2004. Eifel covers 110 square kilometers (42 square miles) of territory in west-central Germany near and along the Belgian border. Today’s announcement is the result of efforts by Park leadership and neighboring communities to enact good outdoor lighting policy and promote stewardship of the dark night skies through continued education and public outreach efforts. Its “provisional” status means that full certification within the International Dark Sky Places Program is contingent upon achieving better than 90 percent participation among communities in the National Park by 2017. Eifel National Park is situated in one of the most densely populated parts of Western Europe; nearly 20 million people live within two hours of Eifel by car or train. Despite the encroachment of modern urban development, the Park is a dark sky oasis surrounded by a sea of light. The Park’s location near major population centers such as Aachen, Bonn, and Cologne presents a special challenge in preserving this fragile natural resource. The effort to save Eifel’s dark skies was led by Harald Bardenhagen, CEO of Astronomie-Werkstatt “Sterne ohne Grenzen,” an astronomy education institution. Dubbed the “Star-Warrior of Cologne” by local media, Bardenhagen took on the monumental task of convincing dozens of communities in and around the Park that placing restrictions on outdoor lighting would protect the National Park without threatening their safety and security. 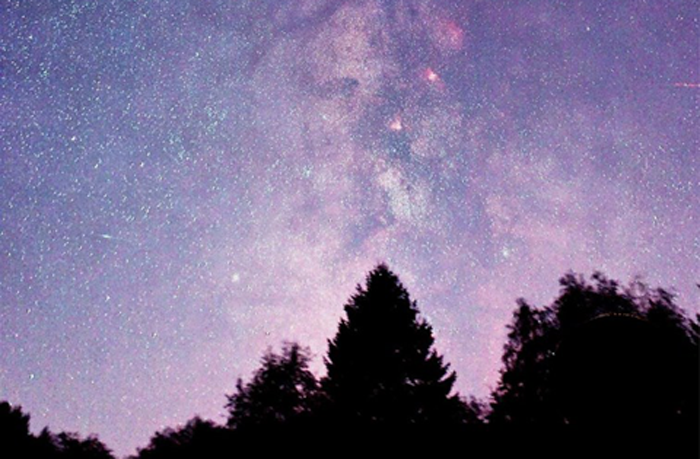 Eifel National Park has retained its dark night skies because much of its territory was literally off-limits until a decade ago. In the period following the Second World War, parts of what is now the National Park were designated the Vogelsang Military Training Area and used by the Belgian armed forces for training activities. Wollseifen, the only settlement within the Vogelsang Military Training Area, was evacuated and destroyed. Closed to the public, the land gradually returned in parts to its former natural condition over the six decades until the National Park was established when military activities in the area ceased. Previously, the Eifel region was chosen for the site of Ordensburg Vogelsang, an estate developed for the education of selected Nazi party officials. The 100-hectare (250 acre) complex was built in 1934-36. In 1950, the Belgian Armed Forces took over the site, known as “Camp Vogelsang” until 2005. It is now operated as the “vogelsang ip International Place in Eifel National Park” (vogelsang ip). 200,000 visitors now enjoy leisure and educational activities there each year; according to vogelsang ip CEO Albert Moritz, options include nighttime stargazing, nocturnal bat observing, and ranger-led night walks. “We have had extraordinarily positive experiences with these activities. It has encouraged us to prevent light pollution and include the night sky as a tool in our curriculum of learning for everyone,” Moritz said. Future plans for the area include an eventual expansion of protected territory into the Hohes Venn region across the border in Belgium to create an International Dark Sky Reserve spanning both nations. standards and innovative community outreach. Since the program began, six communities, four- teen parks and eight reserves have received International Dark Sky designations.